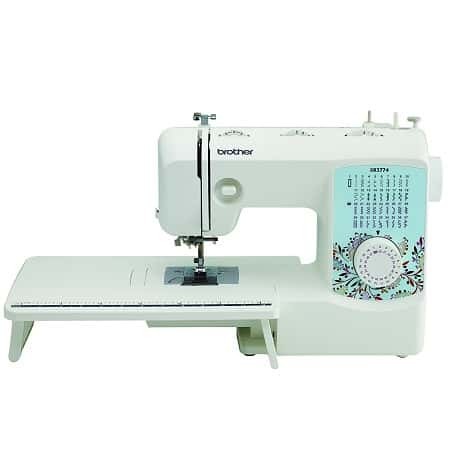 Buying a sewing machine or any other large piece of electronic equipment on Amazon is always difficult and there is always a chance that once you buy an item you will simply not like it, or will not be able to adapt to its peculiarities. I myself have bought in the past sewing machines only to find out after two months that while the machine does what it says it does, I do not really like to work with it. 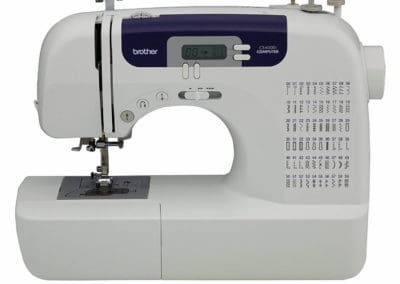 This is (for me) the main reason why when buying an expensive sewing machine I will always visit the local dealer where I can try it, sometimes for a couple of days, I can ask questions and I know I can come back for service if necessary. 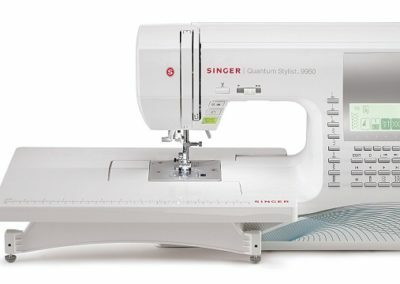 But what if you need to buy a cheaper machine, because you just start to learn sewing, or just as a spare, or to save your nice and expensive all-powerful darling? Here is where Amazon is unbeatable, both in selection and price. But the same selection poses a huge problem: what to buy, and how to decipher the ratings? I will try to explain how I am doing it, and I would love to see comments and advice on this issue – I am sure everyone is interested! 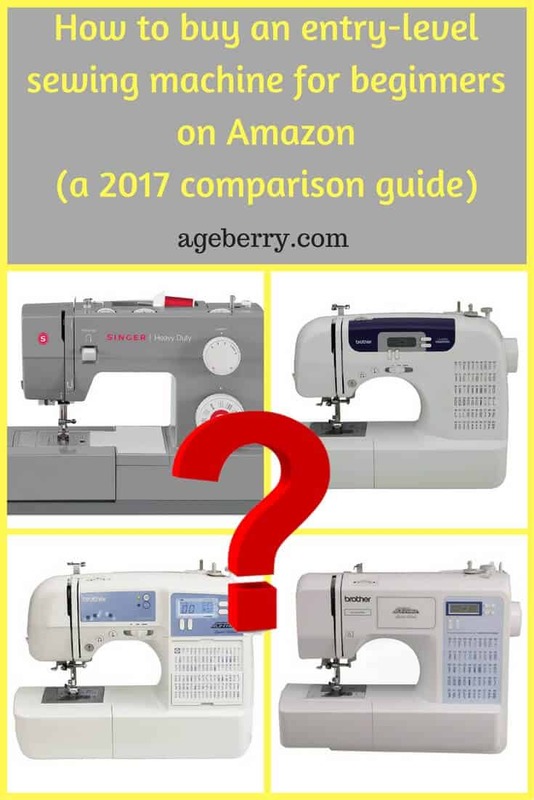 As of the beginning of November 2017, the best selling sewing machines on Amazon are the ones in the image below; given the global reach of Amazon in the USA and Canada, this means many thousands sold and this also means that there is a large body of customer reviews to look at. First a short summary of features; with the notable exception of the Singer 9960, all machines show similar features, with little variations, and about the same level of general customer satisfaction. We will set aside the more expensive Singer 9960, it belongs in a different category and can not be compared with the others. My first rule is the following: where I have a choice, I will NEVER buy online a product that appeared on the market recently; there is no history of customer satisfaction, the product reliability history is unknown and it is well known that at the beginning the product may have some problems that will be fixed in later releases. Besides, last years’ model will probably be cheaper for the same functionality. The second rule: always look for mature products that have a large body of customer reviews. Do not expect all reviews to be good; this will never happen. There will always be a number, sometimes a large number, of people that had issues with the product. The questions here are, WHAT issues they had, if we can determine a pattern for the problems that occurred and if the problems are a red flag for us, for the intended use. Third rule: where there is a choice, from the beginning remove from the list of acceptable products the ones that have a real low customer satisfaction, unless special circumstances warrant inclusion of such products ( for example, the sewing machine is to be used for one project only, and the project will be finished within the 30 days Amazon allows for returns ). So let’s get to work; it took me about two evenings to compile the facts for this article, so let’s not waste time. 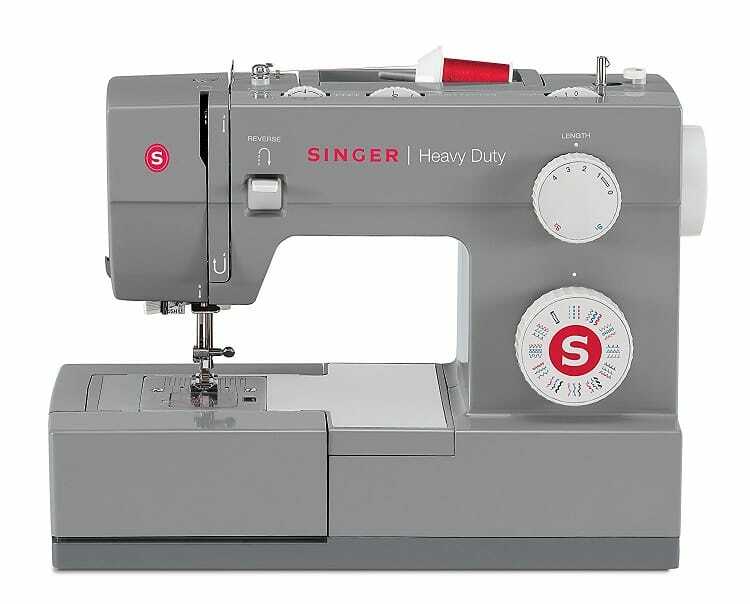 One of the most important factors is the price: the price varies between $114.98 for Brother XR3774 and $177.05 for SINGER 4432, with one notable exception, the Singer 9960 which sells for $315.01. 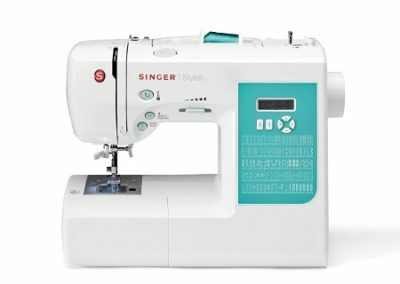 The Singer 9960 is obviously a much more evolved sewing machine and I will leave the Singer 9960 for another time and I will concentrate on the other models. After price, let’s look at the overall customer satisfaction: all machines have a rating of between 4.2 and 4.6 ( out of 5 ) which is impressive. The lowest priced Brother XR3774 has a total of 333 customer reviews, much lower in number than the others ( the best selling Brother cs6600i has over 7000 ) but even 300+ allows to assess the quality of the device. Incidentally, the lowest priced has also the highest rating, it is possible that the customers’ expectations were somewhat low to begin with due to the low price. All seems good here, right? Not so fast! Let’s look at the ratings in more details, starting from the bottom up. The rating of 1 ( complete dissatisfaction ) varies between 2% for Brother XR3774 to 10% for Singer 4411 and a whopping 12% for Singer 4423. 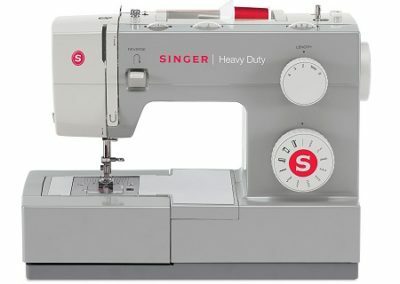 Something must be wrong in the kingdom of Singer 4423 if one out of 8 customers is 100% upset with the purchase! The average number of 1 rating for the group seems to be around 6%, all other machines are somewhere around that number. But I was surprised to find out that the two Singer models, despite being ranked quite well ( 4.2 and 4.3 out of 5 ) have such a high rate of dissatisfaction; basically what this says is that 1 in 8 and 1 in 10 customers have been totally upset with the purchase; we need to look closer why that is. Let’s look now at what the main complaints are for these models; the idea here is to see if there is a pattern, for example, if out of the 50 negative reviews, 40 say “it broke within one month”, I would suspect the item has a quality problem and if you decide to buy that, better find out if it has the problem within the Amazon return period ! While the number of complaints is relatively low ( 4% ), they seem to be grouped in the following areas: machine jams easily, not sturdy, automatic threader flimsy and breaks easily, stitch quality not consistent, machine not serviceable since it costs more to fix than buy new. Let’s keep in mind though that only one in 25 customers had complaints, overall, this seems to be a good machine for light sewing, a relatively small number of them seem to have issues but with the no questions asked Amazon return policy it should be easy to detect within 30 days if the one you receive is in this category. This one has a very low number of negative reviews ( 2% ) and given the low number of reviews in general it is difficult to draw a conclusion. However, the general feeling seems to be — this is intended as a cheap, disposable machine, since no user adjustment or maintenance is recommended, in my mind this can certainly not last 10 years of use! 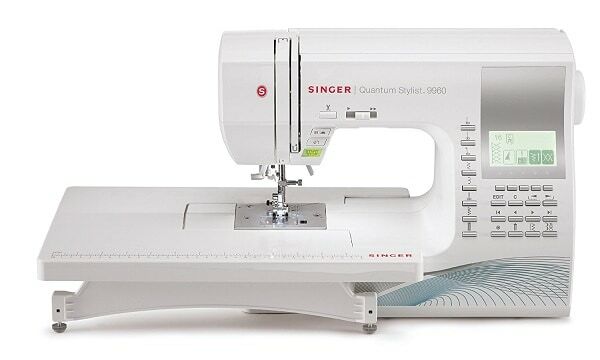 Despite its impressive list of capabilities, I would not recommend this for serious sewing but it may be a good machine to use if you want to learn sewing or to teach your kids the basics. 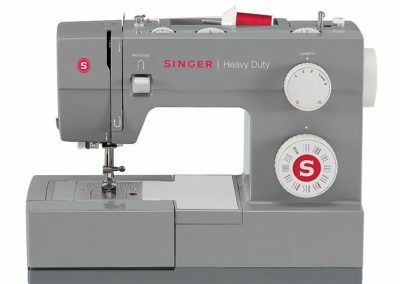 The general complaint here seems to be that “heavy duty” does not mean that it can sew multiple layers of thick fabric, the machine in fact is not even designed to use a heavy thread like upholstery threads. Also there is a quite large number of complaints about quality and early failures, I did not see a pattern for this, there does not seem to be one weak area but a general quality issue. Given that 8% of the reviewers gave it 1 star and 2% 2 stars this means that one in 10 customers is not satisfied. Personally I consider this number to be unacceptable, since there are better rated alternatives I would steer clear of this machine, unless I can get it for a very low price. Note: the machine is essentially the same as Singer 4452. As with the previous Singer, the complaints ( 10% 1 star, 4% 2 stars ) seem to be about quality and early failures but no clear pattern can be established. In addition, there seems to be a general complaint that the machine is difficult to thread and will jam often. As with the previous Singer, since there are better rated alternatives for the same price, I would personally avoid it. 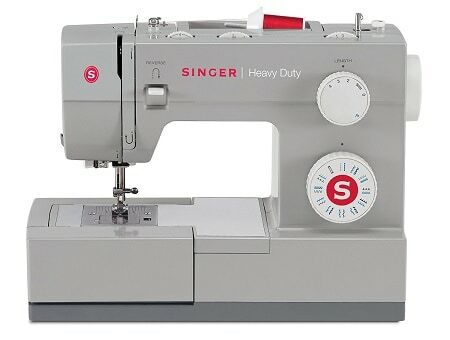 The third Singer machine in a row with the exact same kind of reviews; no single issue but a general quality problem, the machine simply seems to quit after some light use. Given that 8% of the customers give it 1 star and 3% 2 stars, as it was the case with the previous Singer models, I would look elsewhere. With 12% of the customers giving it a “1” rating and 4% a “2”, this means that one in 6 people that bought it are not ok with the purchase; in itself this number makes this machine a “pass” for me, but because I did it for the others, I looked at the pattern of complaints about this one also and I was not surprised to find out that, like its siblings in this list, the general complaint is about quality in general and one single cause can not be identified. 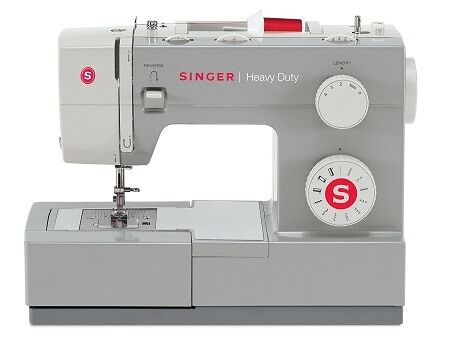 Seems Singer has a general quality issue with its low-end sewing machines. 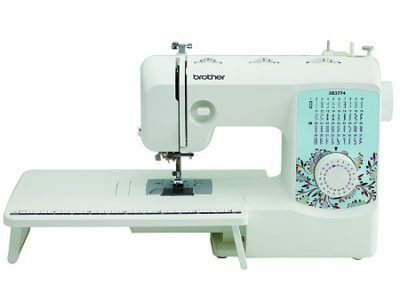 The best selling sewing machine as of beginning November 2017, this Brother has an impressive 4.5 out of 5 general rating and an “acceptable” 5% of the people that bought it gave it a rating of 1 ( and another 3% a rating of 2 ). Unlike others, I could see a pattern of complaints here: the tension adjustment in the machine seems to have issues. This machine also seems to last longer than its competitors, this is the only machine that has reviews like “… it broke after two years”. Given that the issue with the tension seems to be something that can be found during the initial 30 days when the machine can be returned directly to Amazon, if I would buy now, I would consider this an acceptable risk. We have to remember though that we are looking at a set of cheap machines and I would not expect a $100 machine to perform a heavy duty task or to last for the next generation. 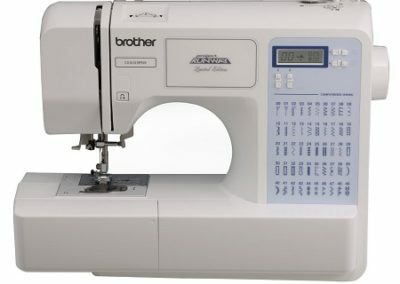 As late as 1975 an entry level sewing machine cost between $150 and $300 and since $1 in 1975 is about $5 in 2017 money it is clear that the prices nowadays for entry-level models are probably 10 times lower. Not only this, but the number of features and complexity of the machines has increased tremendously. 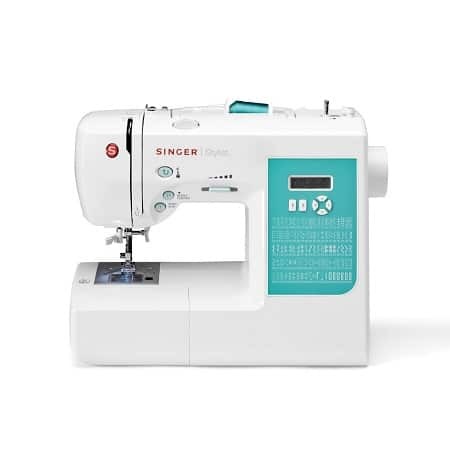 This article does not really recommend one machine or another, it merely attempts to present how I do my research when I need to buy something on Amazon, and an entry-level sewing machine was a good example. 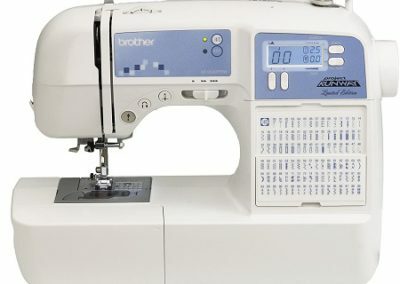 In fact, a couple of years ago I was in this position and needed to buy fast a sewing machine as a workhorse for a limited time and following a similar research I bought a Janome machine which is now discontinued, a similar model is still available Janome 2212 and I am quite satisfied with it. Do you have experience with any of these machines? Did my reading of the users’ ratings miss the mark, or did it touch some issues you have encountered? I would love to hear other opinions, or perhaps different approaches, and if the article is found to be useful, I will continue with a similar analysis of higher-level machines with higher price tags. Singer company used to make very good sewing machines even for beginners. I still have Singer serger I bought in 1995 and it works just fine. 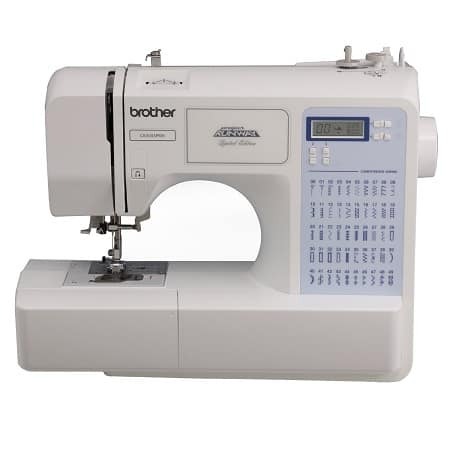 But I wasn’t lucky with simple Brother sewing machine from Costco. I sew a lot of clothes and because of this I really need a machine that makes good buttonholes. That machine stopped making buttonholes in a few months. I never had Bernina sewing machine but I hear it’s a good choice. As for me, I bought Janome 6600 and I love this machine, it does everything I need and it’s a real workhorse. Lol. 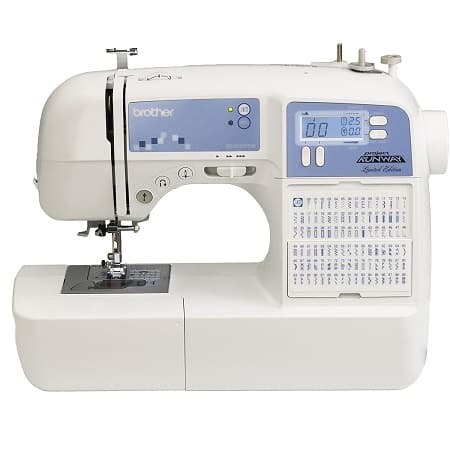 I have 4 Janome machines now and I love all of them (I mean, a serger, a coverstitch, an embroidery machine – all of them Janome). 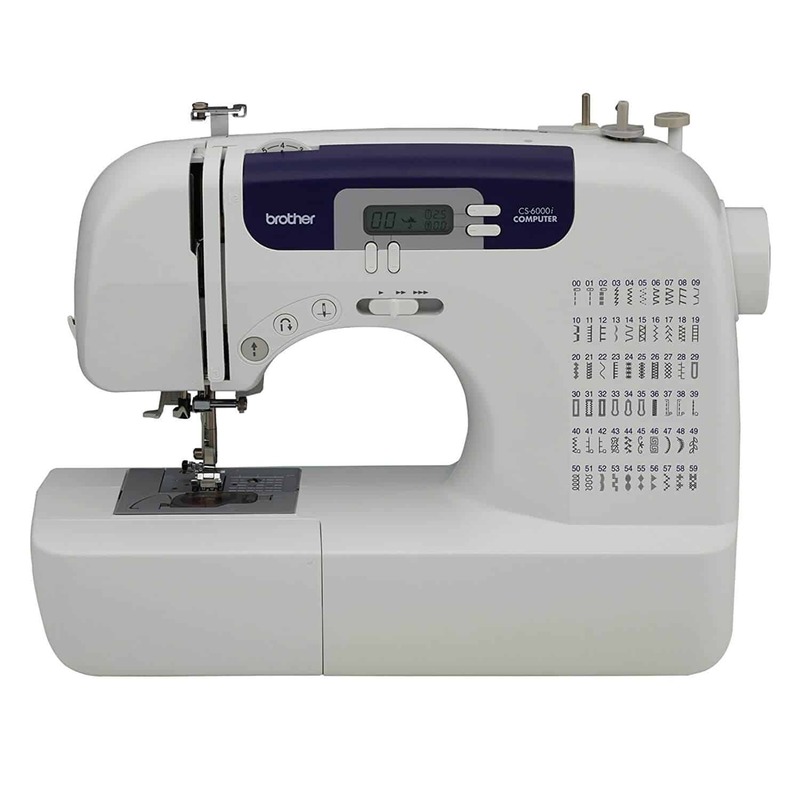 I should admire you for your fluent and comprehensive article about sewing machine . Thank you for your sweet note, Bita!